Every driver in Florida is required by law to have automobile insurance. 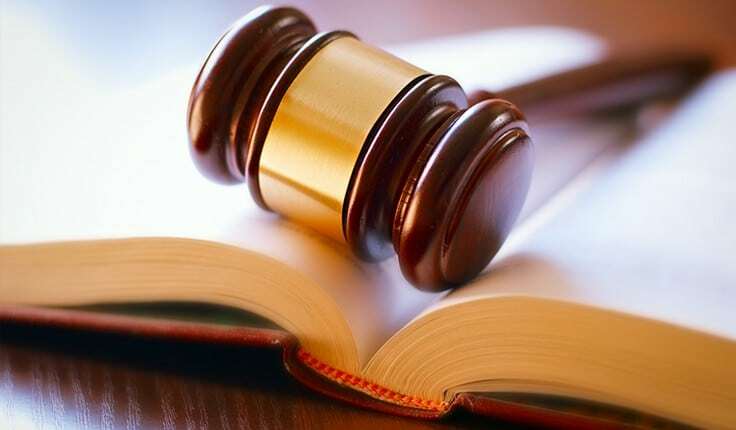 Indeed, this type of law assures that anyone in any accident involving a vehicle has guaranteed protection, regardless of fault or personal insurance status. Issues arise, however, when it comes to actually receiving timely or adequate payment from insurers. Oftentimes, experienced legal counsel is needed. After an accident, seek the aid of Fort Lauderdale personal injury lawyers at Yeboah Law Group, P.A. The State of Florida, when it comes to automobile insurance, is what is known as a “no-fault” state. The phrase “no-fault” is used to illustrate the point that Personal Injury Protection Insurance (“PIP”), which is required by law in Florida for all drivers, provides insurance coverage for medical benefits regardless of who was at fault in the accident. Example: A man is driving alone in his car in Fort Lauderdale on I-95 when he is hit by a speeding car, causing an accident. The driver who was at fault either drives away in a hit and run, or stays at the scene but has no insurance. How does the victim of the accident get treated for his injuries in Florida if the at-fault driver either has no insurance or not enough insurance or isn’t known? That is where Florida’s No-Fault insurance law, Fla. Stat. 627.736, comes into play. Under the provisions of the law, Florida sought to ensure that regardless of fault, all injured in auto accidents can receive treatment.  The difference between PIP and bodily injury insurance is that PIP is required, while other coverages such as bodily injury or underinsured/uninsured motorist coverage is not. PIP benefits are paid by your own insurance company for your treatment, up to a maximum of $10,000.00. PIP, also known as no-fault insurance, provides compensation to drivers in an accident, regardless of who was at fault in causing the collision. In Florida, the maximum amount of PIP coverage is $10,000.00, but there are many factors to be considered before that amount will be paid by your insurance company. First, if you are in an automobile accident, or if you are injured as a pedestrian by an automobile, you have 14 days within which you must see a doctor for treatment. If you do not treat or visit a doctor within 14 days of the accident, no PIP coverage will be provided. Additionally, if the Florida auto accident victim is evaluated by a doctor, and that doctor finds that an “emergency medical condition” exists as a result of the accident, then that accident victim will be entitled to the entire $10,000.00 policy. However, if there is no determination of an emergency medical condition, or “EMC,” then the amount of PIP benefits available for treatment will be capped at $2500.00. Since the laws covering personal injury protection can and do change, we recommend consulting with a Fort Lauderdale PIP attorney to make certain that your needs are being fully served. Why do medical providers in Florida require legal assistance with PIP insurance? Automobile insurance companies are in the business of collecting premiums and denying claims. That is how they exist and make a profit. It is the medical providers in Florida who, after treating auto accident victims, need attorney assistance to collect on those valid PIP claims they submit to the insurance companies. In an effort to save money, insurance companies have myriad ways of declining to pay medical bills submitted to PIP insurance such as the 14-day treatment rule, the EMC rule, various arguments regarding CPT coding, Medicare fee schedules and payment methodologies or utilization limits such as NCCI and MPPR. Insurance companies also will go out and hire their own medical “experts” to testify that the treatment provided by the accident victim’s doctor was not medically necessary, reasonable or related to the auto accident which caused the injury. It’s these situations and more, when insurance companies deny the rightful claims of its insureds and their medical providers that Florida PIP attorneys are needed. PIP attorneys in Florida seek to gather unpaid PIP benefits for insureds and medical providers through a very strict process which includes the review of the medical file of the accident victim, the gathering and collecting of all PIP medical bills, the complete billing ledger and an Assignment of Benefits from the insured to the medical provider. The PIP assignment of benefits is exactly what is sounds like, it is the named insured or a claimant under the insured’s PIP policy assigning their PIP benefits and right to collect such benefits to their medical provider. An experienced Florida PIP attorney then sends a Demand Letter pursuant to Florida Statute 627.736. PIP lawsuits are filed as breach of contract actions, because the PIP insurance policy itself is in fact a contract. The insurance company is agreeing, in exchange for your premiums, to pay your lawful claims for PIP benefits in case of an accident. PIP lawsuits can take anywhere from 30 days to several years to litigate, however the medical providers who need the services of Florida PIP lawyers do not have to pay any portion of the attorney’s fees or costs when their files go to suit, as PIP attorneys are paid by the insurance company if they are successful in recovering unpaid PIP benefits for their clients. This FAQ provides a general overview of PIP. If you have been in an automobile accident and require guidance about the application of PIP to your particular case, please contact our office for a personalized consultation. What is the purpose of PIP coverage? When automobile accidents occur, the costs of the associated expenses can have a devastating effect. PIP seeks to alleviate some of those costs by providing benefits for medical services rendered to auto accident victims. Under the traditional automobile liability insurance model, the insurance company of the at-fault driver pays the covered accident costs. PIP coverage is “no-fault” and covers some of the policyholder’s costs, regardless of which driver caused the accident. In addition, PIP may also pay medical expenses of passengers within the policyholder’s vehicle at the time of the accident. What expenses does PIP cover? Why do I need PIP? The state of Florida requires PIP coverage for insured drivers, but it does offer a useful benefit. Insurance companies can take an extremely long time determining fault and distributing payments. During this period, your expenses continue accumulating. PIP requires no-fault determination, so payment is generally much faster. Do I need PIP if I have medical payment coverage? These two coverage types are similar because neither requires a determination of fault. The differences lie in the types of costs they cover. While medical payment coverage solely pays medical costs, PIP pays other related expenses, such as lost wages and funeral costs. Does PIP coverage include a deductible? This depends on the specific details of your PIP policy. However, the state of Florida limits any PIP coverage deductible to $1,000. When does PIP coverage apply? Coverage generally applies when the policyholder, or any resident relative of the policyholder, experiences injuries while riding in a motor vehicle or while classified as a pedestrian. A resident relative is any person related by any degree of blood or marriage who resides in the policyholder’s home. Are there any exclusions to PIP coverage? The assistance of a Fort Lauderdale personal injury protection attorney is critical, to hold responsible parties accountable after accidents and injuries. Contact us at Yeboah Law Group for a free in-depth consultation of your personal injury protection or injury claim in Miami-Dade. 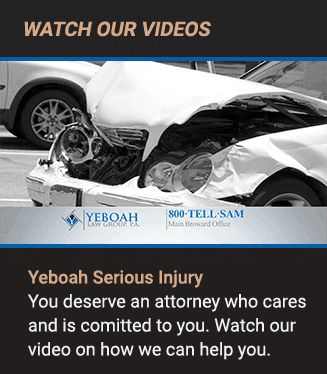 Call Yeboah Law Group now at (800) TELL-SAM or complete our contact form to schedule a free consultation.